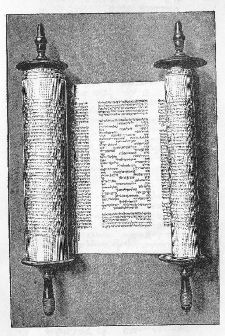 Like other Karaites, Aaron ben Elijah argued that the Torah alone was normative for Jews and rejected the Oral Law promulgated by the rabbis of the Talmud. Aaron ben Elijah, the Latter (1328 or 1329 – 1369) is often held to be the most prominent Karaite theologian, who sought to elevate Karaite philosophy to the highest standards of his day. The Karaites were a branch of Judaism that rejected the so-called "Oral Law" promulgated by mainstream rabbis in the Talmud. Karaites insisted that only those divine laws specifically found in the scriptures of the Torah are truly God-given. Aaron did much to restore the intellectual confidence of the Karaite community, which had been declining as a result of the criticism of rabbinical sages such as Saadia Gaon (ninth century) and Maimonides (twelfth century). His books are considered the most comprehensive explication of Karaite philosophy, and his work remained immensely influential among the Karaites throughout their history. Aaron is referred to as "the Latter" or "the Younger" to distinguish him from another Aaron ben Elijah, also a theologian from Constantinople, which was the center of Karaite learning at the time. He is sometimes distinguished from the elder Aaron Ben Elijah by the title "of Nicomedia," where he lived before moving to Constantinople. While little is known about his personal life, Aaron ben Elijah is considered in Karaite tradition to be the equal of Maimonides, the most distinguished Jewish scholar of the time, who was an outspoken critic of the Karaites. 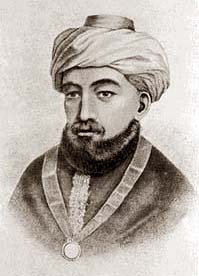 Aaron saw Maimonides, who lived more than a half-century before Aaron, as his rival and devoted much energy to defending the Karaites from Maimonides' attacks. To achieve this, Aaron studied the extensive religious literature of both rabbinical Judaism and Islam, as well as that of the Karaites themselves. The result of his studies was Etz HaChayyim (Tree of Life; 1346), a philosophical work modeled after Maimonides' Guide to the Perplexed. One of the chief criticisms of the work is that it imitates Maimonides' Guide too slavishly in terms of both structure and style. In 1354, while living in Constantinople, Aaron composed his second major work, Gan Eden (The Garden of Eden), explaining the commandments of the Bible and defending the Karaite legal code, which did not admit the Oral Law of the traditional Jewish rabbis. In 1362 he wrote Keter Torah (Crown of the Torah), a comprehensive commentary on the Pentateuch. Aaron was a versatile compiler and an eclectic, if not always original, philosopher. He succeeded in restoring a degree of intellectual prestige to the Karaite community, which had been in decline since it the time of the great Talmudic philosopher and rhetorician Saadia Gaon. Indeed, some of Aaron's critiques of the Maimonidean world view placed the Talmudists on the defensive for the first time in centuries. Like Maimonides and other Jewish philosophers active in the Islamic world, Aaron was heavily influenced by the works of Aristotle. Unlike Maimonides, however, Aaron accepted the Muslim philosophical system of the Kalam, combining atomism with Aristotelean views to reconcile revelation with reason. In this, he differed not only from Maimonides but also from Aaron Ben Elijah the Elder, who held that revelation was often beyond reason and thus sided with Maimonides on this issue. According to the younger Aaron, the theology of the Kalam is the natural religion arrived at by Abraham through meditation and systematized by the Mosaic Law. Meanwhile, the neo-platonic philosophy, adopted by Christianity in its hostility to Judaism, is a heterogeneous foreign product, harmful to the development of the Torah. Chapters 1-15 discuss the doctrine of God's existence, God's incorporeality, and the creation of the world. Like Maimonides in his Guide, Aaron considers the heavenly spheres to be governed by separate intelligences, or angels. By showing that his conclusions are nothing more than logical deductions, Aaron argues that the ideas he expresses precede his own work, which he declares to be nothing more than the confirmation of established truths. Chapters 16-62 discuss biblical anthropomorphism, explaining it as the figurative expression of divine energy and activity. In these chapters, he often cites Maimonides verbatim, but claims that Maimonides himself was simply following an earlier work, Ha-Eshkol, by the Karaite scholar Judah Hadassi. Aaron follows Maimonides' example in stating that Ezekiel's theophany of the Divine Chariot (Merkabah), like the descriptions of the Tabernacle and its symbolism, has a physical meaning. Chapters 63-77 discuss the unity of God. Here Aaron opposes the approach of both Maimonides and Hadassi, who adopt the "via negativa" and thus hold that only God's negative attributes ("God is not...") can be truly expressed in human terms in ways that honor God's unity. According to Aaron, such qualities as power, knowledge, life, will, and existence are all positive attributes inseparable from the very essence of God. To speak of this attributes in no way infringing upon God's unity. This leads him to an explanation of the specific names of God (Elohim, El Shaddai, etc.) as correlating to certain aspects God's activity—such as judgment, mercy, etc.—as distinguished from the Tetragrammaton (YHWH) itself, which denotes the essence of God as the author of all existence. Chapters 78-94 discuss the concept of divine providence. Special emphasis is placed on the fourfold nature of evil: physical, mental-emotional, moral, and non-moral. This was a favorite topic of older Karaite philosophers such as Joseph al-Bazir (as well as Jewish sages such as Maimonides himself). In this view, evil is a defect inherent in matter, and therefore not to be ascribed to God, except as God makes it the means of man's moral improvement. While Maimonides assumes that God's providence extends only to rational human beings, Aaron extends divine providence to all beings, since God's universal knowledge embraces all. Whereas Maimonides sees divine action as guided by God's wisdom, according to Aaron, it is guided by God's justice. On the question of why the righteous suffer, Aaron differs from both Maimonides and some of his own Karaite predecessors. He rejects the concept that God ultimately compensates the righteous (such as Job) for their grief, postulating instead that all trials imposed on people are for their spiritual benefit. Humanity, he says, is incapable of comprehending the purpose of Creation, being limited to conceiving of its own role in the world as God's servant. Chapters 95-114 discuss revelation, the divine law of the Torah, the perfection of the soul, and its immortality. The two trees in the Garden of Eden are seen as metaphors for the higher and the lower spheres of human existence. After the Fall, the commandments of the Torah become the necessary means of restoring humanity to its true nature. This leads to a discussion of the nature of prophecy in general and especially its highest expression by Moses. Aaron explains the objectives of the Torah and its commandments as means of achieving the perfection of both the individual and of humanity as a whole. According to an ancient tradition of both Karaite and rabbinic Jews cited by Aaron, the Torah was intended for and offered to all nations, not the Jews alone. It can never be changed or improved. Nor (in contrast to Talmudic Judaism) can it be augmented by an Oral Law. Essentially different from the attitude of Maimonides and other Aristotelian thinkers is Aaron's attitude toward immortality, which he bases chiefly upon moral grounds, citing the idea of that without life after death, God's justice would be compromised, since the righteous would not be rewarded, nor would sinners be punished. He concludes his work with a call to repentance. 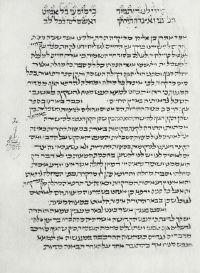 Gan Eden manuscript on paper, dating around the fourteenth or fifteenth century. Aaron's work on the Commandments, entitled Gan Eden, consists of 25 sections and 194 chapters, as well as nine smaller juridical articles, which became of paramount importance to the Karaites. Although less broad that his earlier work, it is particularly significant in Karaite history, as it deals with the core issue of Karaite tradition: divine law. Aaron follows a rational approach to the commandments, similar to the one espoused by Maimonides. He opens with the principle that instilling the belief in God's unity and His government of the world is the ultimate purpose of every commandment. It is thus the duty of humanity to seek the underlying objective of each commandment. For example, the goal of the Sabbath is to inculcate a belief in the Divine creation and guidance of the world. Other festivals are intended to counteract the influences of paganism and fatalism. In its entirety, Gan Eden is considered by many to be the best and most comprehensive exposition of the Karaite system of the law of the Torah, presenting the opinions of all Aaron's predecessors with impartial and frank criticism. It is mainly because of this work that Aaron wields such a great influence upon the Karaites to this day. This is a commentary on the Torah, styled after Abraham Ibn Ezra's earlier work. It's title means "Crown of the Law." Like Aaron's earlier writings, it also contains a review of the philosophical and exegetical interpretations given by his predecessors, with critiques of their views where necessary. Particularly interesting is his "Preface," in which he states the main differences between the approaches to biblical exegesis of Talmudic and Karaite Judaism, in which he claims—as did the Karaites generally—that the rabbis take liberties with the text and end up confusing their own opinions with divine revelation. By bringing the Aristotelian method to the Karaite tradition, Aaron Ben Elijah did for Karaism what Thomas Aquinas did for the Catholics. Indeed, Aaron presented the philosophy of the Karaite Jews as no one had done previously and no one has done since. His work laid the foundation for the re-flourishing of Karaite culture in the Middle Ages and helped this fascinating tradition survive into the present day. While his works are rarely read today, there can be little doubt that his efforts did much to strengthen his community's intellectual culture, which had been on the retreat since the time of Saadia Gaon and had suffered greatly in the shadow of the age's great Talmudists, especially Maimonides. ↑ "Aaron ben Elijah" Encyclopædia Britannica. Retrieved December 1, 2017. Some sources give his birth as late as 1330. History of "Aaron ben Elijah"
This page was last modified on 21 December 2017, at 16:28.